Librairie Galignani (Galignani Bookshop) is a French bookshop and publishing company based in Paris. 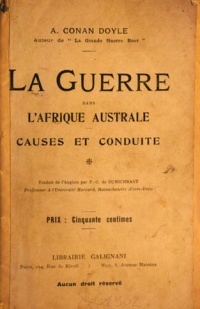 In 1902, the company published the essay The War in South Africa: Its Cause and Conduct written by Arthur Conan Doyle. This page was last edited on 26 February 2017, at 17:59.